Normally, this error occurs if you try and complete a task twice – once as normal, and then a second time quickly afterwards, before the workflow engine has a chance to catch up. Usually, if you wait a moment, the first completion of the activity eventually happens and the workflow will continue. That didn’t seem to be the case here, though. Naturally, I thought maybe I’d tried to ‘complete’ the workflow activities too quickly and somehow deadlocked the workflow, so I terminated the running workflow and restarted. When I tried again, this time carefully only completing the task once only, the issue continued. 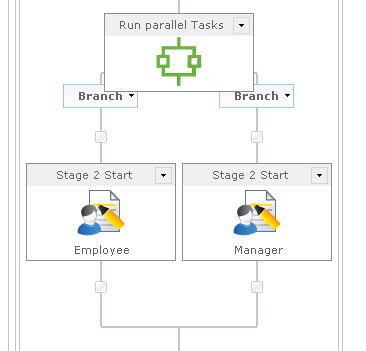 It didn’t matter which of the parallel tasks I’d try and complete – on the first ‘OK’ of the task, it would close the task and look like it was completing it, but not do so, and clicking OK a second time would cause the error. If I just waited, the task would never appear completed. I did find some documentation on Nintex communities about this – but none of the causes mentioned seem to apply in my case. In the end, I tried the IT move of desperation, and restarted my server. (Yup, I turned it off and on again). I then terminated my workflow yet again, and tried once more. And it worked; the workflow progressed past this step without issue. 3 times so far. I have no idea what caused this problem, and no idea why restarting the server should fix it, but so far, it looks promising. It’s a strange issue, and I was starting to get desperate.